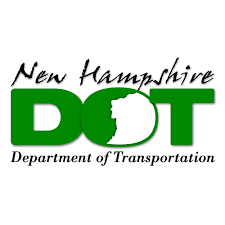 The New Hampshire Department of Transportation (NHDOT) announces pavement preservation crack sealing work is underway on Interstate 89. This project involves crack sealing from I-89 Exit 5 to 7 in Hopkinton, northbound and southbound, and includes all ramps and crossovers. Some night work will occur at Exit 5 with a detour to Exit 6 to reverse direction. In addition, there will be crack sealing on I-89 in New London between Exits 11 and 12, which will include crossovers and ramps at Exit 12. An overdue recognition will be given to a Sheriff who died from injuries sustained on duty in 1886. Cheshire County Sheriff Eli Rivera will honor Deputy Sheriff John Stratton Walker, Sr. on May 19 during the Cheshire County Sheriff’s Office Law Enforcement Officers Ceremony, at 10:00 am in the Cheshire County Complex. After research, the Sheriff’s Department discovered that on March16, of 1886 Mr. Charles Jennings of Walpole NH struck Deputy Sheriff Walker with an axe in the head and arm. Walker had been assisting Mrs. Jennings a victim of domestic abuse; remove some of her belongings from the home. Deputy Sheriff Walker died on April 22, 1886 from the injuries he received. Charles Jennings was indicted on 2nd degree murder and latter pled guilty to manslaughter. The New Hampshire Law Enforcement Officers Memorial committee has voted and approved the induction of Deputy Walker on the New Hampshire Law Enforcement Officers Memorial wall located in Concord, NH. In addition, inclusion of Walker to the National Law Enforcement Officers Memorial is pending. Springfield Probation and Parole is searching for a man who never returned from furlough on May 7. Dale Adams 28 was placed on escaped from furlough status from Southern State Correctional Facility (SSCF) on Monday morning. Adams did not return to his residence after attending a scheduled group support meeting on May 7, 2016, according to a press release. Adams is a white male, 5-feet-11-inches tall, brown hair, medium complexion, and hazel eyes. Current offenses for Adams included violating abuse prevention order, prohibited acts — misdemeanor, failure to appear, unlawful restraint in the 2nd degree, and lewd and lascivious behavior with a child (Probation). His last known residence is River House, 2263 Route 106, Perkinsville, Vermont, according to the press release. If you see, Adams call your local police department. The Sunapee Police Department is warning about an email computer scam. The malware is nicknamed, “Locky” and is disguised as an invoice attachment. Locky is insidious because it changes your file names and encrypts all of your data as it works its way through your local and networked computers. Once encrypted, your files can only be restored if you send ransom in exchange for a decryption key. Currently, Locky is appearing as an email message with a subject line that says “Attention to Invoice #123456” along with a message such as “Please see the attached invoice (a Microsoft Word Document) and remit payment according to the terms shown at the bottom of the invoice.” The malicious macros are contained in the fake invoice DO NOT OPEN. If you receive an email like this, alert your IT department immediately. Outside of paying the ransom, the most effective way of restoring your system is to complete a full software reinstall from your system backups. Because this method can result in lost data, remember to make routine backups of your data.